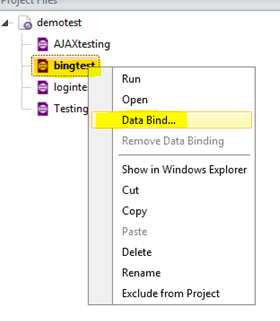 In this post we will follow step by step approach to bind data from a SQL Server table to perform data driven automated web testing. 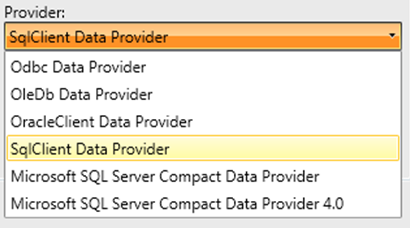 Select SqlClient Data Provider as Provider from then Provider drop down. After selecting provider, we need to provide connection string of the database and a friendly name for the data source. 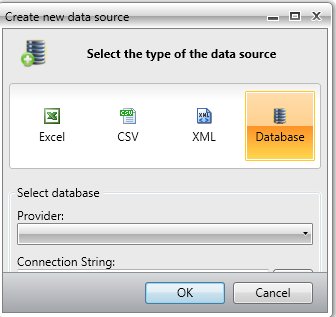 Click on ok button to add SQL Server database as data source. 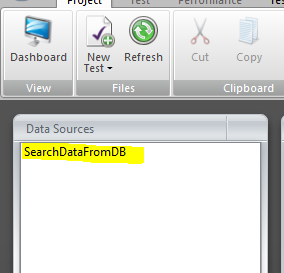 After adding data source you can see that added data source is being listed in the Data Source section. You will be prompted to select data source. In drop down the entire data source added to the project would be listed. From drop down select data source we added in previous step. 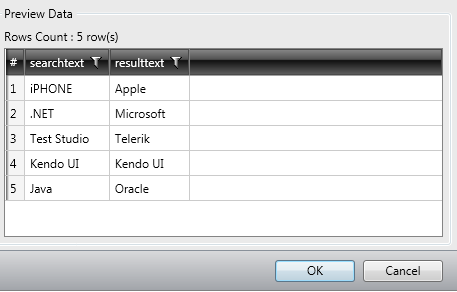 Once data source is selected one more drop down would get visible to select table. 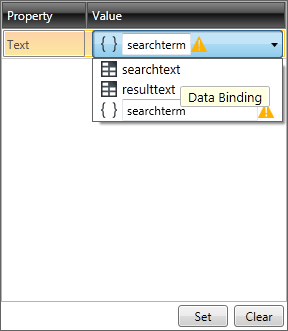 In this case there is only one table named BingSearch in the data source. Select the table from the drop down. After selecting table all the records from table will be listed in Grid. 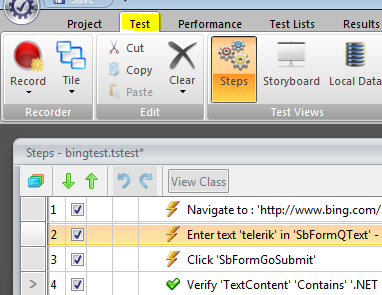 Click on the Ok button to complete data binding task to a test. 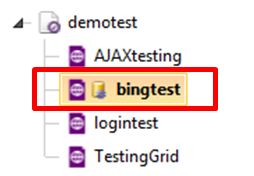 You will notice a database icon next to test we done data binding. From the collection drop down, you need to select the column to bind to the step. 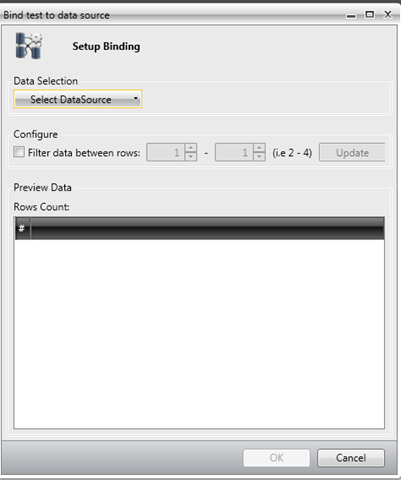 Once column is selected, click on the Set button to complete the data binding. You can verify in the test step that test property of that element is data driven now. In this way you can perform data driven testing fetching data from a SQL Server table. I hope this post was useful. Thanks for reading. Good One Dhananjay – But could we also see this in action via web browser screenshot as well? This “Friendly Name” how can I reach it from C# code? Because I want to do an insert in the DB with an StoredProcedure.